Organs-on-chips or organ-on-a-chip is an electronic gadget that consists of a 3D microfluidic cell culture-based multi-channel structure. This gadget essentially is a chip that can control mechanisms, activities, and physiological responses of organs and organ systems, after being implanted in the body. In a more simplistic manner, this chip acts mainly as an artificial organ, or an artificial system that undertakes processes controlled by human bodies in a natural state. A brisk rise in research in the field of biomedical engineering, particularly to find alternatives for replacing failed human organs has formed a distinct organs-on-chips market. This market is being pushed to attain substantial growth owing to a rise in healthcare industry applications. Surging cases of organ failure in the form of liver, kidneys, lungs, and heart also are prime reasons for fueling the search to find viable alternatives. The bioelectronics components are mainly created on small microchips, which have tiny chambers formed by living cells. These cells are arranged in such a manner that they mimic human body physiology on a micro-level scale. These simulations are utilized on a macro scale by enhancing them with the help of various methods. According to the organs mentioned above, there are separate chips made for each organ, and even for some smaller constituents that make up an organ. For example, heart-on-a-chip, skin-on-a-chip, artery-on-a-chip, lung-on-a-chip, and kidney-on-a-chip are key organ-on-a-chip gadgets that are being extensively used. Installation of each of these chips depends on several factors such as body acceptability, medical condition of patient, and physiological responses, among others. Organ-on-chip is multichannel 3D micro-fluidic cell culture gadget, which prompts mechanisms, activities, and physiological reflexes of human organs. This chip builds up a thin channel for the air and blood flow in organs including gut, lung, heart, liver, and so on. This gadgets is created on a microchip, which has constantly perfused chambers made by living cells arranged in a way to invigorate tissue- level physiology and organ-level physiology. It is utilized to sustain interior organs with the support of silicone. The worldwide organ-on-chip market is fragmented based on geography and type. On the basis of type, the market is partitioned into human-on-chip, heart-on-chip, lungs-on-chip, intestine on-chip, liver-on-chip, and kidney-on-chip. Based on geography the organs-on-chips market is segmented into Europe, North America, Asia-Pacific, Latin America, and the Middle East and Africa. The analysts of the report have utilized skilled procedures to anticipate the patterns in the market for organs-on-chips keeping in mind the end goal to make precise projections. The examination of different market components has been utilized to illustrate noteworthy, current, and provisional future patterns, which would enable the market players to get a domain of the market. The development of the global organ-on-chip market is driven by rise in its applications in the healthcare industry, increase in demand for drug screening, and soaring demand for kidney applications and lung-based organ culture. Be that as it may, high cost and early stage in research and development obstruct the market development. These components are expected to either drive or hamper the market. But, nevertheless, rise in research processes on organ-on-chips is estimated to offer plenty of opportunities for the leading players. Deficiency of donor lungs for transplantation has prompted increase in number of patients dying due to illness. In this way, increase in demand to create lab-engineered, functional organs is expected to supplement the development of the market. Recellularized strong organs can perform organ-specific tasks for limited amount of time, which shows the potential for clinical utilization of artificially designed strong organs later on. Rise in demand for organ-on-chip gadgets in the medical industry is foreseen to help the development of the global market. Organ-on-chip gadgets are known to be useful in in-vitro analysis of biochemical, real-time imaging, and metabolic and genetic activities of living cells in a functional tissue, which majorly boost their adoption. Drug screening is a practical technique utilized for quickly reviewing samples. Researchers and analysts utilize organ-on-chips culture gadgets to monitor the impacts of medications in the body. Moreover, drug effectiveness or drug toxicity in different organs of the body is checked utilizing this procedure, which helps the market development. The heart-on-chip segment has higher potential for development in the global market. Lung-on-chip led the global organ-on-chip market in 2016, and is anticipated to continue its predominance within the forecast period. North America held the biggest market share, because of advanced technological innovations and rise in healthcare applications. Asia-Pacific is expected to witness the most astounding development due to various growth opportunities offered by nations, for example, India, China, and Japan. The accessibility of new and advanced organs-on-chips in the market, and ideal government activities as far as financing and projects for essential drug advancement and research, and the advent of key pharmaceutical organizations. These are regions where the lion's share of drug development activity is focused. 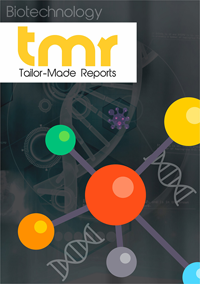 Emulate, Inc., CN Bio Innovations, Ascendance Biotechnology, Inc., Mimetas B.V., Organovo Holdings, Inc., Tara Biosystems, AxoSim Technologies LLC, Hurel Corporation, Insphero AG, and Nortis Inc. are among the major players in the global organs-on-chips market.